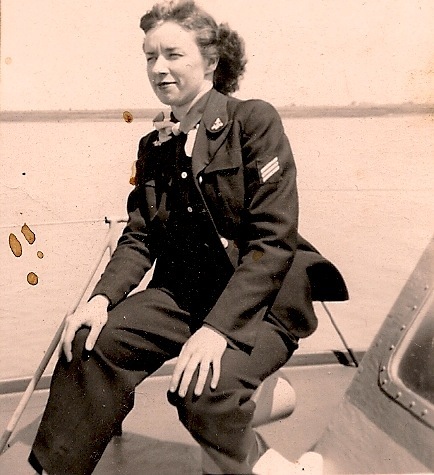 Ruth Furnish in the Navy, 1947-51. She saw Europe and Morocco as the secretary to an admiral. Ruth Cummings was the bookkeeper for the downtown Mullane’s Parkside Cafe before and during David Tape’s tenure as proprietor there. A decades-long resident of Oakley, Ruth had a kind heart, a quick smile, an eclectic collection of bulldog knick knacks, and a sharp eye for numbers. After her death in 2007, she bequeathed Tape the money that would become part of the initial funding for her namesake business—Ruth’s Parkside Cafe, now located in the American Can Building in Northside. Relationships at Mullane’s—originally founded by Kim Cole in 1986—inspired that kind of loyalty. Mary Kroner, a longtime friend of Tape and manager at Mullane’s, is collaborating with him again in opening Ruth’s. Kevin Worthington started as a dishwasher at Mullane’s when he was 21 years old. And 27 years later, he started again with Tape and Kroner—this time as the chef at Ruth’s after a successful career at several Cincinnati eateries. “David and I are both very community-oriented,” said Kroner, who spent her post-Mullane’s years raising her own family and working in her family’s dry-cleaning business. “A business in a neighborhood is a perfect conduit to work in a community and to give. I do feel like that is our bottom line.” Certainly, Ruth would agree and heartily approve.